1.Temper the mustard seeds, cumin seeds and curry leaves in about 2 tablespoons of oil. 2. Then add the onions, green chillies, ginger, garlic and sautee until golden brown. 3. Now add the curry powder and combine with the ingredients for about 30 seconds and then add the jackfruit, 2 tablespoons of water & salt. 4. This next part is when you need some patience and some intuition. You need to cook the curry on a low flame until cooked. For me it took about 20 – 30 minutes and I used a heave bottomed pan and covered it with a lid. You may also need to add a little more water if it evaporates. 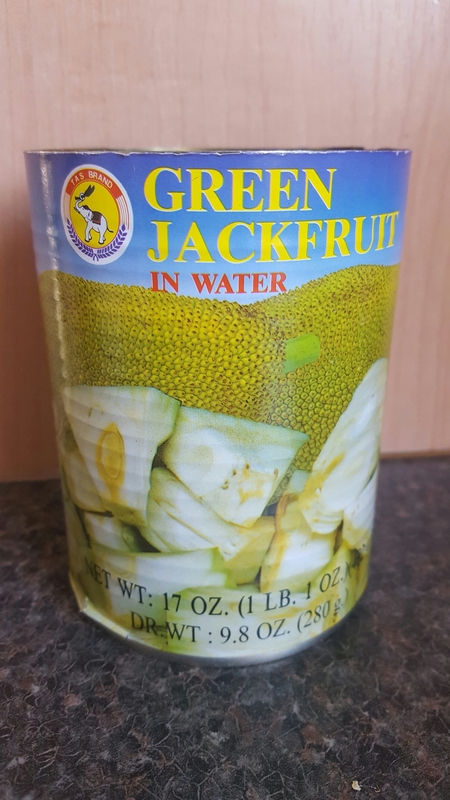 You need the water to help cook the jackfruit. 5. 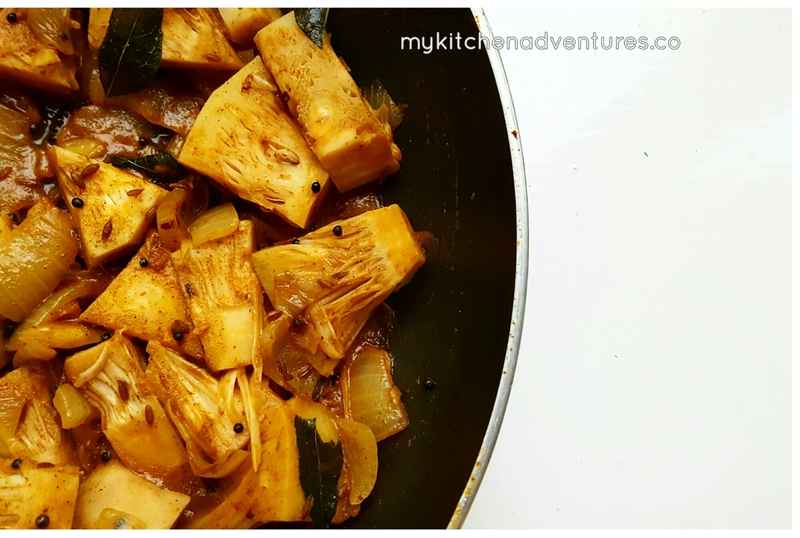 After the jackfruit is cooked through, add the coconut milk/coconut powder dissolved in water, and then cook for a further minutes. Check the seasoning and then serve hot.